ANTHONY YARDE fights to move into contention to challenge for a world title having been told he can be the “new-age Nigel Benn”. On Saturday at London’s Copper Box Arena he meets Richard Baranyi, no doubt hoping for an 11th knockout and a 12th win from 12, and at a time when there is growing excitement surrounding his future. The 25-year-old, a natural athlete who once had trials at QPR and Harlequins and trained under heptathlete Tessa Sanderson, is among Frank Warren’s finest prospects. His promoter once worked with Nathan Cleverly and Tony Bellew when they, like Yarde, were light-heavyweights, and does little to hide the extent of his faith in him. Warren also worked with the exciting Benn, among Britain’s most popular fighters of the 1990s, for some of the finest nights of his career, and according to Yarde has detected similarities between them. “Frank’s been making a comparison a lot with Nigel Benn,” London’s Yarde told Press Association Sport. 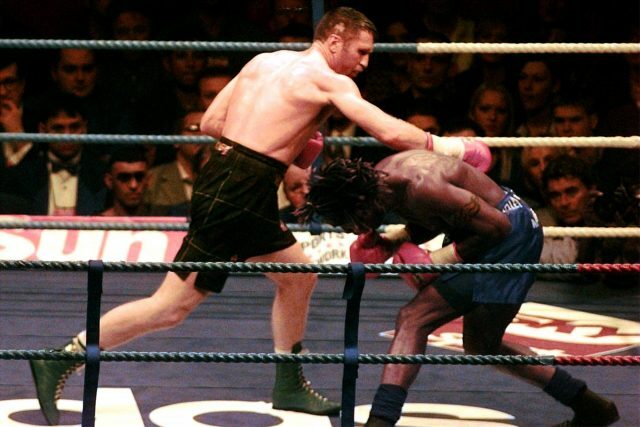 “He said I really remind him of Nigel Benn, in the way in the early days of his career he was knocking everyone out, but he said the difference is that I’m more tactical in what I’m doing, and am a bit more of a thinker. He’s said I’m ‘The new-age Nigel Benn’. “It’s such a motivation that he’d compare me to someone like him. He was a feared world champion. He also told me that for the (limited) level of amateur experience I’ve had, he’s never seen anything like it. Victory against Baranyi would take Yarde into the WBO’s top 15, but a world title fight is unlikely to come soon. Attention has recently turned to reports of an ill-advised third fight between Steve Collins and Benn, respectively 52 and 53, and Yarde – a friend of the latter’s son Conor – said: “Some people don’t know when to leave the sport, they’ve got such love for it. “Sometimes they feel like they need to come back. Nigel’s son’s boxing now, he’s always in the gym with him: old memories come, you go back on the pads, start to fall in love with it again. “Any publicity’s good for boxing. It’s not a mainstream sport around the world, and anything that brings more attention to it is good for it.